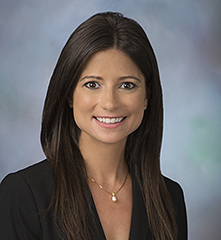 Ms. Petry is an associate with Schertler & Onorato, LLP. Her practice focuses on criminal defense and government investigations. Before joining Schertler & Onorato in 2016, Ms. Petry was an Assistant Public Defender in Anne Arundel County, Maryland. At the Office of the Public Defender, Ms. Petry represented clients in a variety of misdemeanor and felony criminal and traffic matters. Ms. Petry’s trial experience includes the successful representation of clients charged with driving under the influence, drug possession, forgery, second degree assault, and violations of probation. Ms. Petry has also successfully litigated several motions to suppress and motions to dismiss on behalf of her clients. Before becoming an Assistant Public Defender, Ms. Petry served as a law clerk for the Senior Judges at the Superior Court of the District of Columbia. During law school at American University, Ms. Petry served as Editor-in-Chief of the Criminal Law Practitioner. She was a three-year member of the Mock Trial Honor Society and was selected as a Marshall Brennan Constitutional Literacy Project Fellow, through which she taught constitutional law to middle and high school students in the District of Columbia. Ms. Petry also served as a judicial intern to the Honorable Paul L. Friedman of the U.S. District Court for the District of Columbia. Prior to attending law school, Ms. Petry worked as a paralegal for Cozen O’Connor P.C. in its criminal defense and internal investigations group and taught kindergarten and preschool in the District of Columbia Public Schools through the Teach for America Program. While teaching, Ms. Petry received a Masters degree in Early Childhood Education from George Mason University. Ms. Petry received her B.A. from Bates College where she played varsity field hockey and was inducted into the Bates Scholar Athlete Society. While in college, Ms. Petry served as a case manager for the Honorable John B. Beliveau of the Lewiston Maine District Court and assisted with Family Treatment Drug Court proceedings. Ms. Petry is admitted to the Maryland and District of Columbia bars and is a member of the National Association of Criminal Defense Lawyers.